Centurion Palace is located next to San Marco, on the other side of Canal Grande. It is less crowded but you are still very close to the action. All sites are within walking distance but hey, why walk when you can take a Gondola! Besides from all great architecture and monuments of Venice, the building of Centurion Palace is a pleasure to the eye as well. The neo-Gothic 'Palazzo Genovese' that is now home to the hotel is a late nineteenth-century building with typical Venetian characteristics. The hotel offer a wide variety of rooms and suites to choose from and comes with a 150 m2 Presidential Suite with stunning 180 degrees views over the Venetian lagoon and daily life. From a culinary point of view you can expect an upscale restaurant called L’ Antinoo’s that is under supervision of chef Massimo Livan. 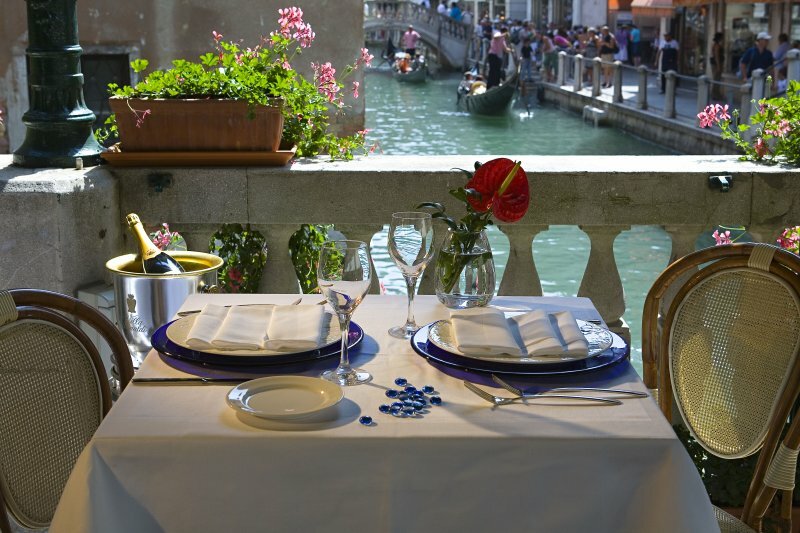 The restaurant serves prestigious a la carte dishes but also a traditional, yet exclusive Venetian menu and offers a great selection of fine Italian and international wines. During summertime the restaurant offers an unforgettable Al Fresco dining experience including views over the mouth of San Marco Basin. The hotel comes with a modest on the top floor. Although it is small, it is well equipped gym offering you enough for a good workout and unique views. During summer the summer the restaurant offer an unforgettable 'Al Fresco' dining experience, elegantly decorated by red and white stripes mooring poles that are so typical for the Venetian life on the water. The hotel offers such amazing views over the San Marco basin and Canal Grande it is sometimes hard to leave you room. Get a drink and watch the boats drift by from the comfort of your own room! With such an extravagant restaurant scene at sych a short distance it is sometimes hard to resist to go out and eat somewhere else but the Centurion Palace is a culinary gem itself. We definitely advise you to try the restaurant for a great and memorable dining experience. Next to San Marco you will find Dosoduro, one of Venice' most elegant styled neighbourhoods with a great selection of historical buildings and sites. Dosoduro is divided from San Marco by the Canal Grande. Walk in at the front and hop on and of on a Gondola at the back. Hotel Bonvecchiati is a typical Venice style hotel with all benefits from being at the right location. 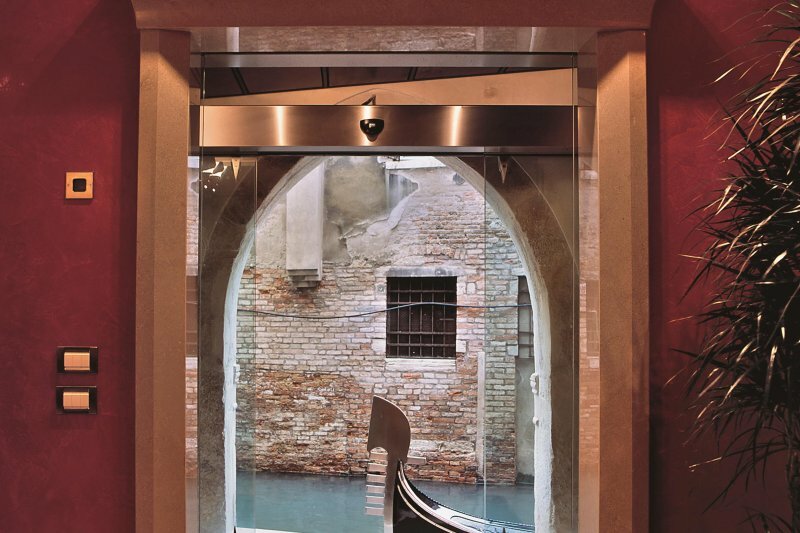 The ultimate boutique experience in the heart of historical Venice. 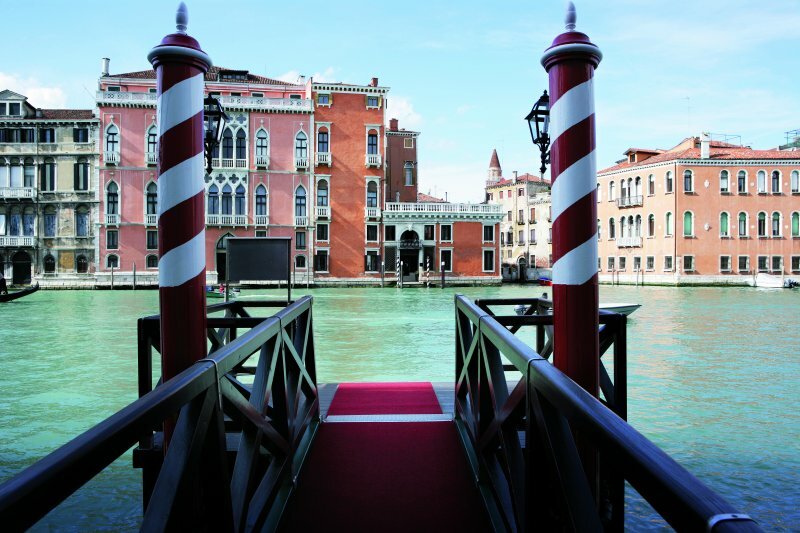 The hotel offers an elegant Venetian interior and direct boat access at the back. The Palace Bonvecchiati stands out being a modern hotel for the design conscious traveler. Expect contemporary art and a clean design with extravagant colors. © UrbanBooker 2019 - Part of The Booker Company B.V.